Experience a time that could come to be if the state of the world continues in the direction it is now without change. UNREAL CITY is a fully immersive and interactive journey based on The Wasteland and other works of TS Eliot. 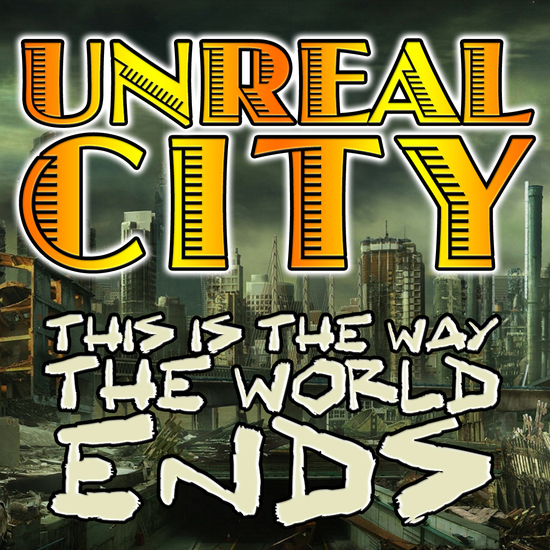 The Queen has announced a lottery and the thriving, protected Unreal City will be accepting new residents for the very first time! Even YOU have a chance to get out of this Wasteland, our world. Visit our government-approved, immigrant-friendly website and register today for your chance at CHANGE! Let it be known once accepted into our lottery you will advised to arrive for your check-in time around 20 minutes early, to ensure thorough processing and sterilization, and to allow time for you to enjoy a cocktail before entry. LATE ENTRY WILL NOT BE POSSIBLE UNDER ANY CIRCUMSTANCES. You MUST opt in for email communication when you purchase your ticket IF you wish to receive correspondence from the Queen’s Hollow Men prior to your entrance to Unreal City! Such correspondence may include important information regarding your placement in Unreal City and check-in location for your arrival time. IF you would like to receive emails and did not opt in, please message the HOLLOW MEN or email " hollowmen at unrealcitylottery dot com "
Your journey to the City will include audience interaction, intimate settings both interior and exterior, and frequent movement to different locations. This thought-provoking and challenging new experience includes explicit adult situations, including sexual content and violence. Consistent audience mobility required.